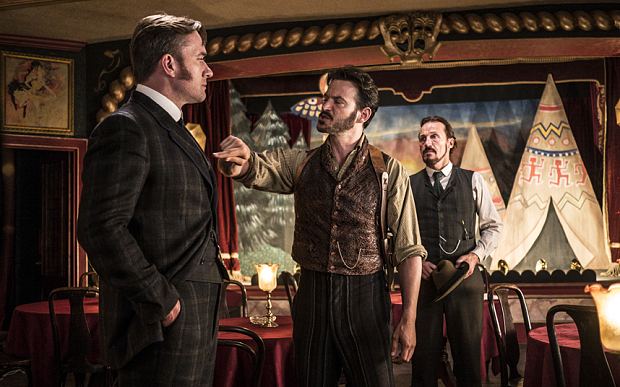 Carnegie Magic and The Steampunk Illusionist: Ripper Street - What's Next? Ripper Street - What's Next? Season 3 of Ripper Street is over having aired all their episodes. The one thing I dislike about the show is that they only have 8 episodes, however I love everything else about the show. Let me tell you, these were jam packed episodes with great story lines. The ending clearly appears that the producers and writers of the show thought it was going to be their finale, meaning, last episode ever. There is a definite 'this is the end' to the show after episode 8. But as I mentioned in a previous article, they've been renewed for a Season 4 and 5. What will be in store for the next seasons? I do not want to give away any details of what transpired during Season 3 in case you've not seen it. Though, I will throw out that one character from the show dies, but I won't say who. I did some research on the real Edmund Reid from Whitechapel and I found some interesting facts about him. One thing I will say, the real Reid and the television Reid, are not quite the same. The writers have fictionalized his family history from that of the real Reid. The historical record says the real Edmund Reid is transferred to L Division in 1895 and in 1896 retires from the police force due to ill health. In late 1896 he becomes a private detective. A side note of interest, I read that Reid became an accomplished actor and singer and was adept at sleight of hand. But I don't know if these skills were kept as a hobby or if he attempted to try out for the stage like the character Rose from the Ripper Street show. What they do with Reid, Drake, Homer Jackson and Long Susan is anyone's guess. I just hope they don't make us wait too long for Season 4. I'll leave you with a great quote....one that is surprisingly relevant today.